US President Donald Trump's son-in-law and senior adviser Jared Kushner previously said that the president was close to a decision on whether to recognize Jerusalem as Israel's capital, prompting media speculations that the decision would be announced on Wednesday. "There is a rumor but we believe he [Donald Trump] will not do that, but if he will take this step, it would create a big problem in the area. It will start another intifada and will lead to a deterioration of US relations with other Arab and Muslim states because the Arab world believes that Jerusalem belongs not only to the Palestinians but to all Muslim and Christian countries around the world," Palestinian Ambassador to Russia Abdel Hafiz Nofal told Sputnik. According to the diplomat, Palestine welcomes the position of Russia on the conflict between Israel and Palestine and hopes that Moscow will propose its own initiative to settle the crisis "as the situation in Syria is steadily improving." He has also voiced hope that Moscow's potential initiative could include proposals to settle the crisis around Jerusalem among other issues. The ambassador has emphasized that Palestine supports the possibility of Jerusalem becoming the capital of two states at once, which is open to everyone, including Christians, Muslims and Jews. The statement comes in the wake of a statement made by Donald Trump's son-in-law and senior adviser Jared Kushner on Sunday that the US president was close to a decision on whether to recognize Jerusalem as Israel's capital. The controversial remark has prompted media speculations alleging that Trump is expected to announce on Wednesday his decision whether to sign a legal waiver that would delay plans to relocate the US embassy from Tel Aviv to Jerusalem for another half a year, a move done by every US president since 1995. The rumors have prompted harsh response from the region's countries, as well as the Arab League organization, that warned Trump against recognizing Jerusalemn as the Israeli capital, saying that the move "will not serve peace or stability, but will feed extremism and resort to violence." 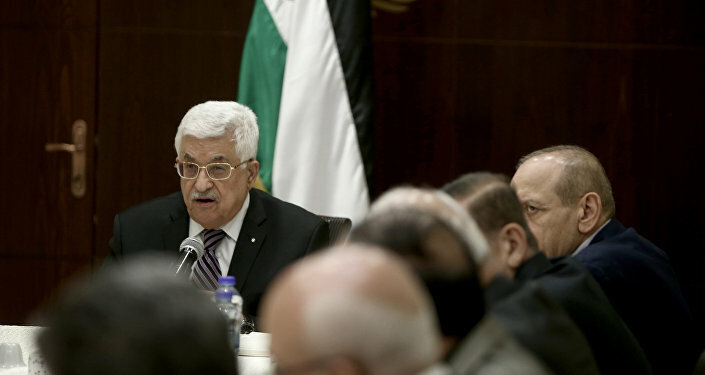 At the same time, Palestinian President Mahmoud Abbas stated, as quoted by the WAFA news agency, that recognition of Jerusalem as the capital of Israel threatens to derail peace efforts and is "unacceptable for Palestinians, Arabs and internationally," while Hamas called all country's nationals to unite against such "brutal decision." Palestinians want to create an independent state on the territories of the West Bank, including East Jerusalem, partially occupied by Israel, and the Gaza Strip, and want Israel to withdraw from the Palestinian territories it seized during the Six-Day War. 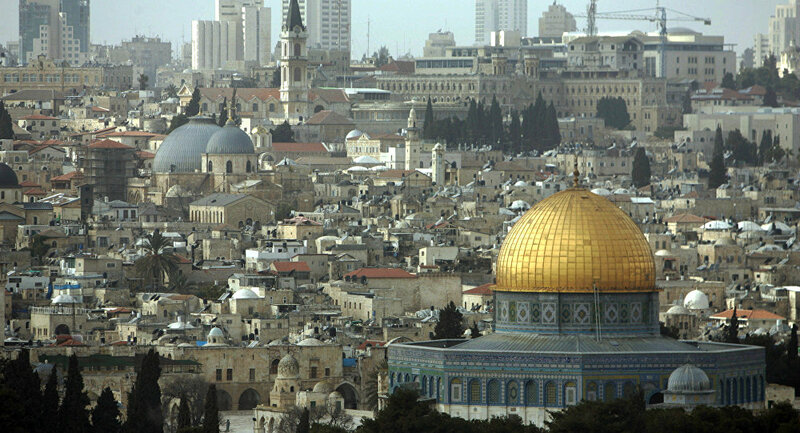 In 1980, the Israeli Parliament passed the Jerusalem Law declaring Jerusalem the unified capital of Israel, with the action not being been recognized by any other country, including the United States.